....earthquake generation is a very complex process occurring in an underground environment that is very difficult to observe. 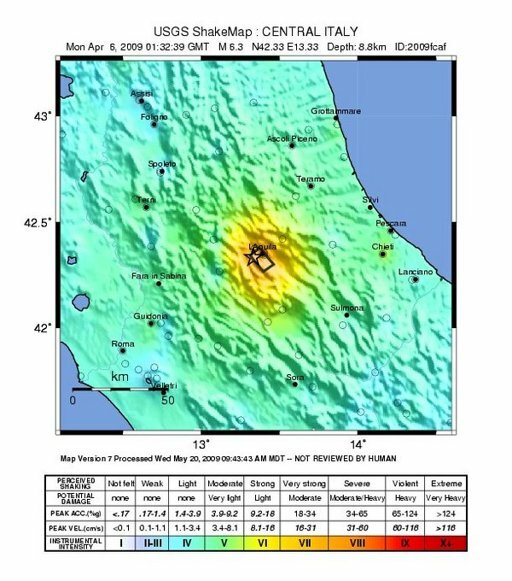 Given the current state of scientific knowledge, individual large earthquakes cannot be reliably predicted in future intervals of years or less. In other words, reliable and skillful deterministic earthquake prediction is not yet possible. So why would anyone believe the convicted individuals should have been able to predict the deadly earthquake? More importantly, who's next? A meteorologist who predicts the next day will be sunny, only to have storms roll in and somebody gets killed by lightening at a picnic? This issue is a biggie - so please consider sharing your thoughts on the subject on MnGeo Emergency Preparedness Committee's LinkedIn discussion board. Click here to view.